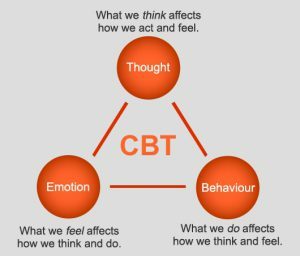 CBT is based on Dr. Aaron Beck’s theory that our automatic thoughts about situations largely influence how we react – emotionally, physically, and behaviorally. Sometimes those automatic thoughts are not exactly true, but we act as if they are. In CBT, people learn to be mindful in the moment and identify what’s true and what’s not. Usually, this results in significantly decreased distress. Often when we behave in self-defeating patterns, automatic thoughts are fueled by automatic beliefs (about ourselves, others, & the world) that aren’t exactly true either. In CBT, when people modify their underlying beliefs (to be more accurate), they’re even able to change lifelong disturbing characteristic ways of behaving. The goal is to teach people to learn how to identify, evaluate, and modify these patterns themselves. 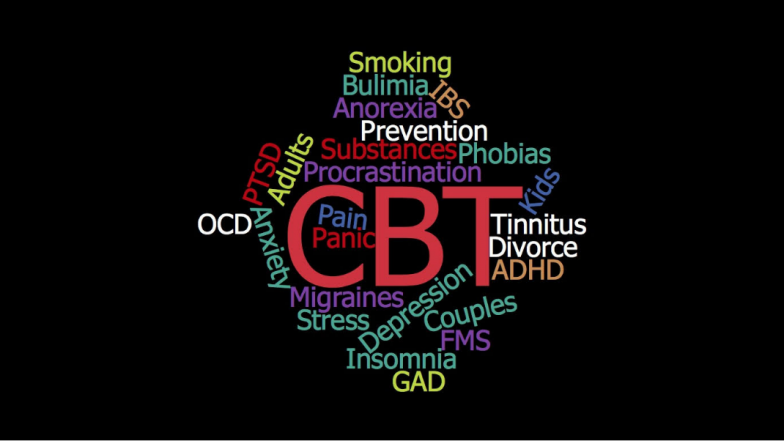 That’s why CBT can be relatively brief, compared to traditional therapies. People can learn to be their own best therapist.